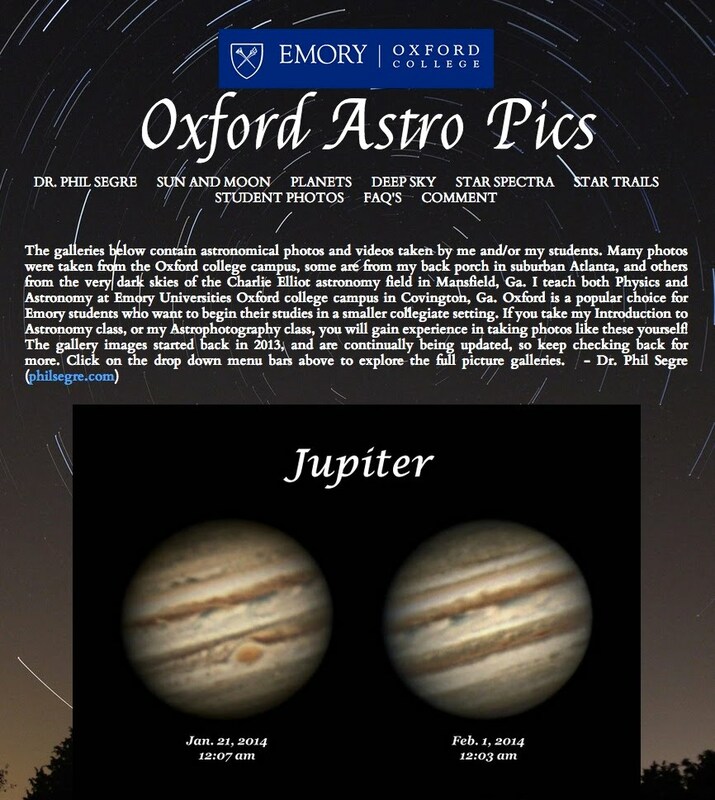 Image Processing: When imaging small objects like the planets Jupiter and Saturn, the atmosphere can significantly distort and blur the images, so taking a single .jpg image doesn't work well. To get better results, we used the DMK camera to take short .avi movie files. These .avi files contain 60 picture frames/sec, so a 10 second movie is really 600 individual images. With so many images we will use the Registax6 program to select out the best ones and then average these together to produce a single, much higher quality, .jpg image. 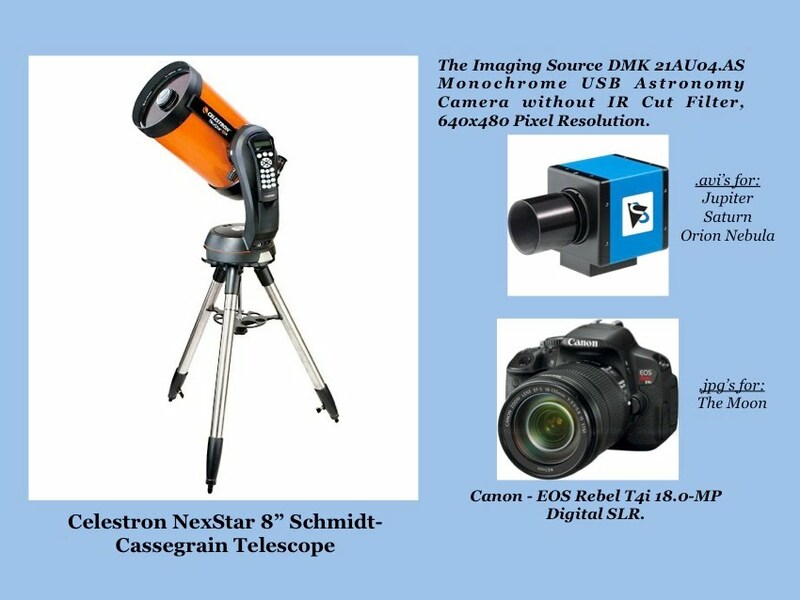 This is what Astronomers do, and now you can do it too! Tutorial: How to use Registax6 to convert an .avi movie file into a single higher contrast .jpg image. 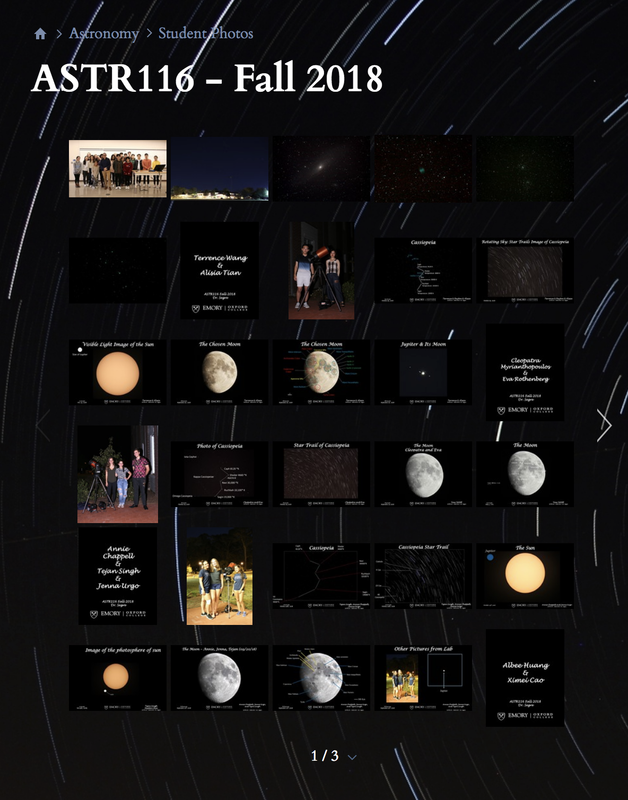 Below are some of the best images and movies from Astronomy Night.